Microsoft launched a consumer preview of the new Microsoft Office suite this week. Traditionally, the core Microsoft Office elements have been Word, PowerPoint, and Excel, but OneNote has developed into a fourth pillar of the Microsoft productivity suite. 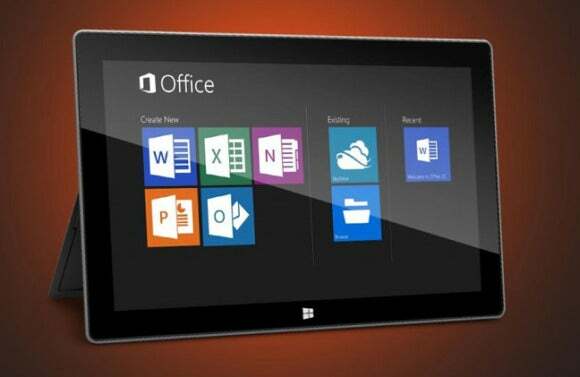 In fact, Microsoft has put OneNote front and center as the poster child of the new mobile, touch-friendly Office. First--in case you’re coming late to the party--let’s try to define what OneNote is. We all know Word is for word processing, Excel is a spreadsheet program, and PowerPoint makes slideshow presentations. OneNote, however, is a bit more difficult to label so succinctly. OneNote is one of the shining stars of the new Microsoft Office 2013. The shortest answer is “It’s a digital notebook,” but that just leads to the question, “And why would I want a digital notebook?” The better answer is that it’s a powerful, versatile tool for organizing just about anything. It’s the application you turn to for jotting down to-do lists, capturing notes during a presentation, or recording the random ideas that run through your head so you can refer to them later after your brain has erased all traces of the original thought. You can store, organize, and search text, audio, video, photos, and handwriting. OneNote has been one of my favorite applications since Microsoft began bundling it with Microsoft Office. I like that it syncs my data through SkyDrive so my notes and information are available from just about anywhere. Microsoft has also developed native apps for the iPhone, iPad, Windows Phone, and Android devices--making OneNote one of the most accessible, cross-platform tools Microsoft has. Not that much is changed from OneNote 2010 to OneNote 2013. You can embed information in a wider variety of formats. OneNote 2013 lets you write using your finger, mouse, or a stylus, and it can convert the handwriting to editable text. The radial menu in OneNote MX sets the bar for touchscreen mobile productivity. My single favorite feature of the new OneNote, though, is unique to OneNote MX--the Metro-ized app version of OneNote designed for Windows 8. Tapping the radial menu button opens a circle containing different formatting options. On some options an arrow is available that lets you dive deeper and access more options. At any point, you can click the back arrow in the center of the radial menu to go back to the previous menu. The radial menu is brilliant. It is an innovative approach to working with information on a touchscreen mobile device, and I hope the radial menu is also a staple of the Office apps that come with Windows 8 RT, and/or that Microsoft extends the radial menu concept to the rest of the Office suite soon. Now, if Microsoft would just include OneNote with Office for Mac, and/or develop a Mac OS X OneNote app I’d really be all set.